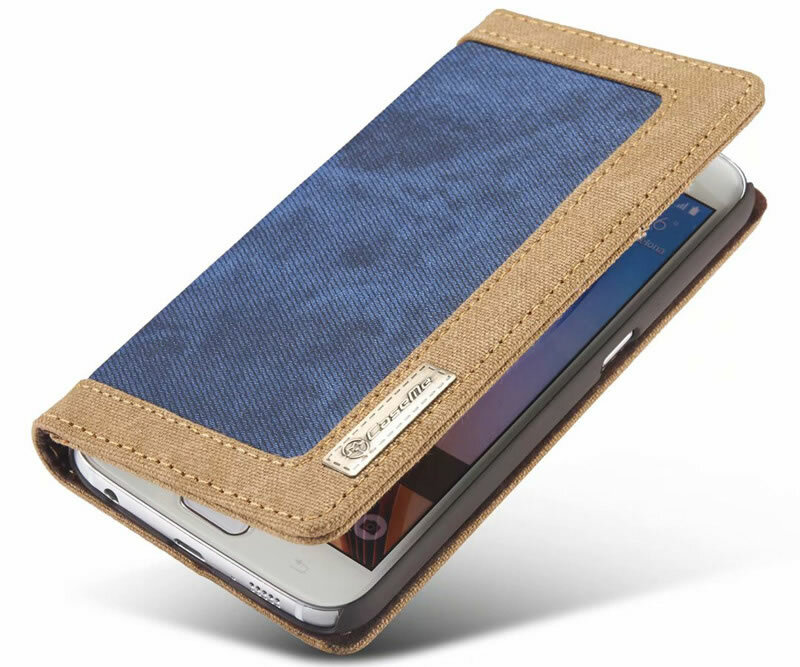 Free Shipping, Buy CaseMe Samsung Galaxy S6 Magnetic Flip Canvas Wallet Case with 2 Card Slots at official Casemecase.com. 4) Canvas material is not only Drop-resistant, but also Look Luxury and Elegant. 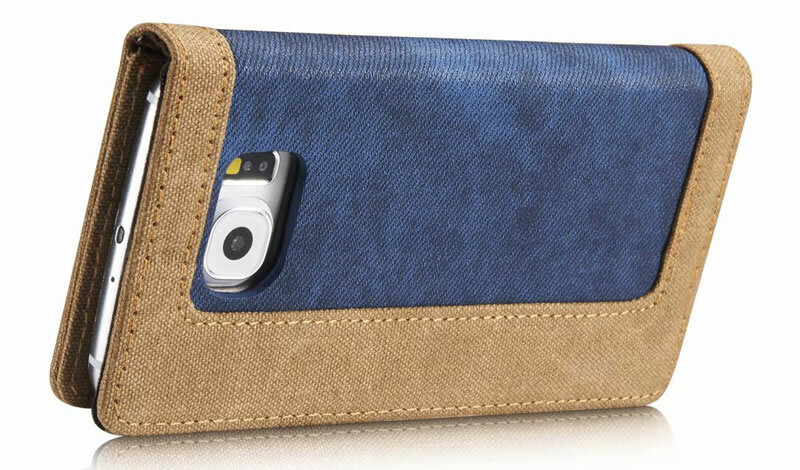 2 Credit Card Slot + 1 Bill Card Slot. 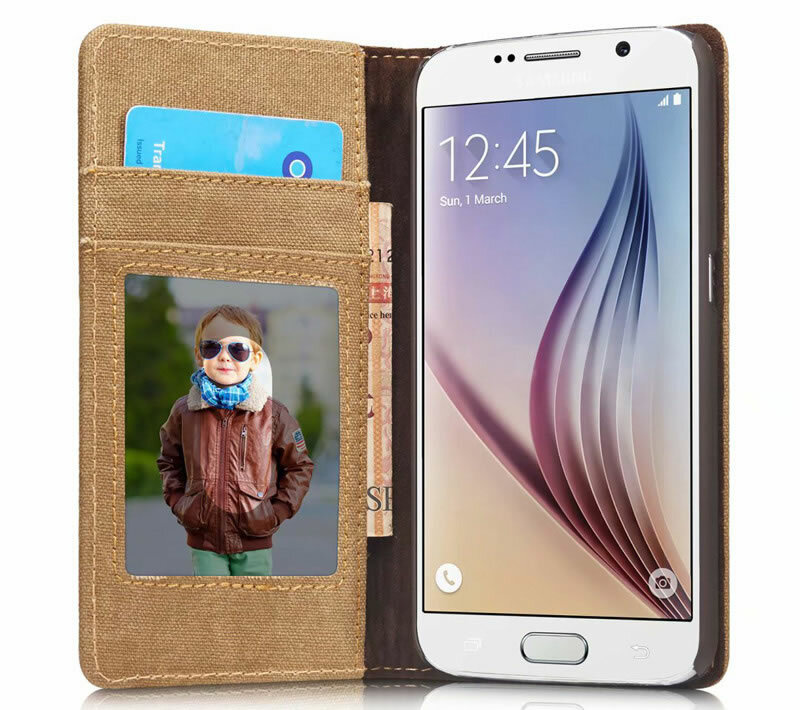 Purposely placed inner pockets provide plenty of rooms for essential credit cards, ID cards and cash. 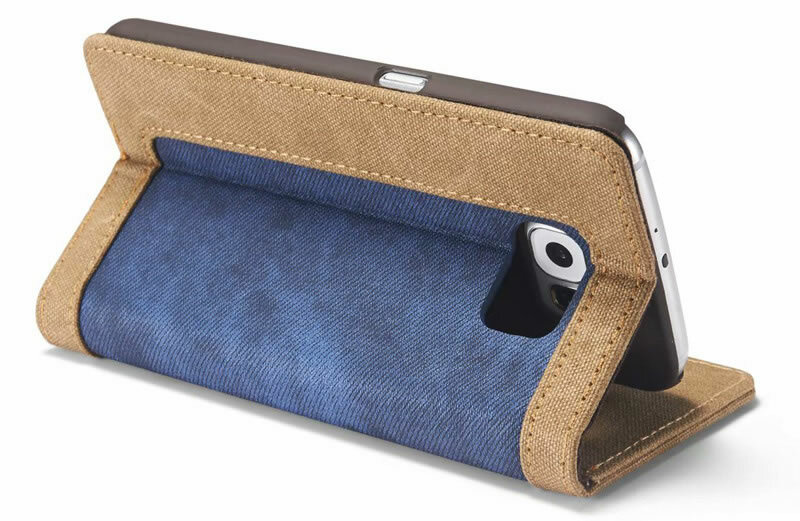 Cases were purely 100% handmade , Denim has a smooth, consistent texture, which is easy to clean and maintain ,The hand feeling of the denim is top-grade. 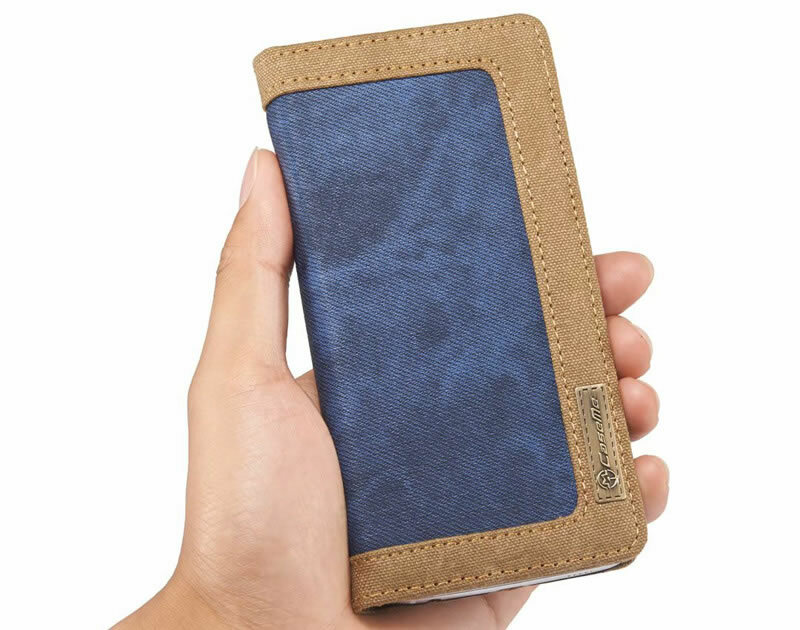 Wallet Magnetic Adsorption Shut Down, Convenience/ Fast. Put The Back Case In This Way As A Kickstand When Necessary. 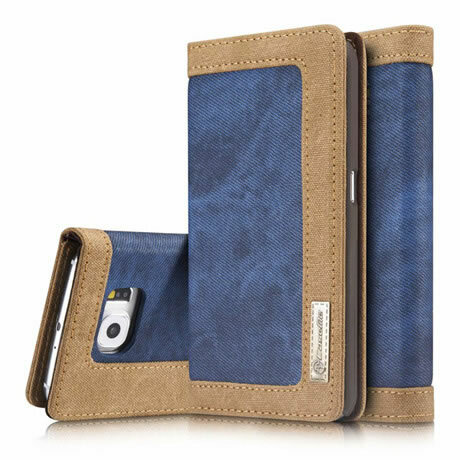 The Precise Cutouts Allow Full Access To Lens/ Flash/ Charge & Earphone Ports, Perfectly Fit For Your Smartphone.